And just as you think it cannot be better, faster and become more interesting you find out it can! VMware announced several new updates to its products on VMworld 2017 in Las Vegas. According to Pat Gelsinger, CEO VMware, VMware’s goal is to connect people to apps and services to stitch together silos of innovation, creating even bigger results. VMware focusses on helping Enterprises succeed in the Multi-Cloud Era by providing several new services specially aimed at using clouds. As enterprises move forward in their digital transformation journey they will particularly face challenges in mobility, security and manageability. While looking through VMworld and the released or upcoming releases of different vendors you see that there are several helping hands out there. Curious about how AppDefense works? Check out this Lightboard video with Tom Corn. Whitepaper: Core Principles of Cyber Hygiene in a world of Cloud and Mobility. VMware Cost Insight is a cost monitoring and optimization service for public and private clouds that helps IT analyze cloud spend, find savings opportunities, and communicate the cost of services to the business. With Cost Insight, users can understand aggregated cloud costs and identify key cost drivers. Cost Insight provides granular visibility into public and private cloud costs so that IT leaders can map investments to strategic business priorities and ensure cost transparency. For a good technical layout how VMware Cloud on AWS works see this overview made by Frank Denneman at his blog. 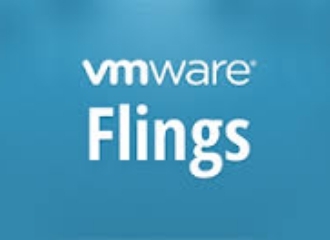 Looking for more information around the VMware cloud offerings please see this link. VMware also advances their software to improve and modernize Data Centers. There will be new releases of VMware Integrated OpenStack and VMware vRealize Network Insight™ to help customers modernize their data centers to increase business and developer agility while introducing increased networking and security capabilities. Additionally, VMware is unveiling a new VMware vSAN offering to accelerate the adoption of distributed IT by reducing the cost and complexity of expanding enterprise IT features beyond the data center. New HCI Acceleration Kit to enable distributed IT with cost-effective hyperconverged infrastructure (HCI) systems powered by VMware vSAN. I am really looking forward to the expanded capabilities of VMware HCI offering powered by VMware vSAN and will dive deeper in to that while visiting VMworld 2017 Europe. VMware is also introducing VMware vSphere Scale-Out edition, a new solution in the vSphere product line aimed at Big Data and HPC workloads. VMware vSphere Scale-Out edition includes the features and functions most useful to Big Data and HPC workloads such as those provided by the core vSphere hypervisor and the vSphere Distributed Switch™. This new solution also enables the ability to rapidly change and provision compute nodes. The solution will be offered at an attractive price point, optimized for Big Data and HPC environments. 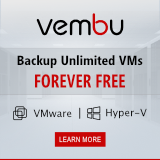 Dramatic Resource Optimization — Memory and CPU utilization optimization in a virtualized environment can increase performance significantly over a physical system. VMware tests of Big Data workloads have shown that virtualized Spark cluster performance can exceed physical cluster performance by up to 10 percent. Simplified Compute Node Creation — Adding more capacity to a Big Data cluster can be done by cloning VMs and giving them an identity. Clusters can be scaled up and down as needed. Network Flexibility — Widely distributed systems, like most Big Data clusters, require the management of many nodes using a common central point of control across the network, which vSphere delivers through the Distributed Switch. Also, new releases and announcements in End User Computing has been announced. 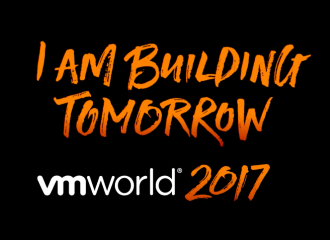 Most of them being a sneak peek so I expect that we will hear more about it in a few weeks on VMworld 2017 Europe edition. Workspace ONE Transitions Traditional Windows into a Cloud Service for the Digital Workspace with VMware Horizon New Workspace ONE Intelligence Service Powers Insights, Planning, and Automation. Customers will now have the ability to use Workspace ONE as a single solution to enable unified endpoint management (UEM) and unify the end user experience across all endpoint platforms including Windows, macOS, Chrome OS, iOS, and Android. In addition, Workspace ONE will now uniquely integrate application programming interfaces (APIs) from major endpoint platform providers to stay in lock-step with the latest innovations in devices and applications. For a sneak peek what VMware Horizon 7.3 will bring us in the future read this VMware blog.